High above a blur of cars on a congested street in Lower Manhattan, a Chinese man sits atop a tiny fire escape sipping a bowl of noodles. Surrounded by a concrete jungle of asphalt and high-rise buildings, the man is far from isolation. Yet somehow he appears to be very much alone and out of place. This powerful portrayal of modern immigrant life —the cramped living space, the alienation, the absence of color and wide-open spaces – exquisitely captures the parallels between inward struggles and the outside world. 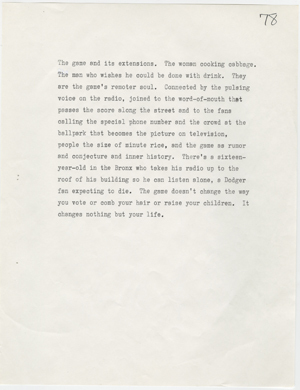 A page from the first draft of Don DeLillo's "Underworld." In conjunction with the Literature and Sport exhibition, Don DeLillo, author of Underworld, Pafko at the Wall, and End Zone, reads from his work on Thursday, July 25, at 7 p.m. in Jessen Auditorium in Homer Rainey Hall at The University of Texas at Austin. DeLillo’s archive resides at the Harry Ransom Center. DeLillo is the author of 15 novels, including Falling Man, White Noise, and Libra. He has won the National Book Award, the PEN/Faulkner Award for Fiction, the Jerusalem Prize for his complete body of work, and the William Dean Howells Medal from the American Academy of Arts and Letters, among other honors. This spring he was named the first recipient of the Library of Congress Prize for American Fiction. The event is free and open to the public. 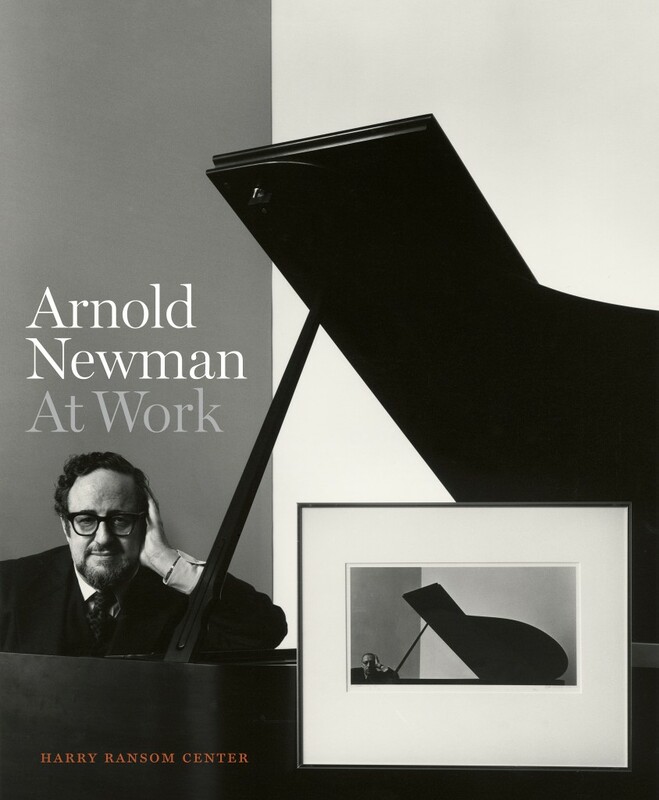 Seating is limited, and doors open at 6:20 p.m. for Ransom Center members and at 6:30 p.m. for the general public. Stop by the Ransom Center’s visitor desk and sign up for eNews between 5 and 6:30 p.m.* on Thursday, July 25 to receive a copy of Don DeLillo’s novel Underworld. Don DeLillo’s reading follows at 7 p.m at Jessen Auditorium. The exhibition "Literature and Sport" is on view at the Harry Ransom Center through August 4. The exhibition Literature and Sport is on view at the Harry Ransom Center at The University of Texas at Austin through August 4. The crack of the bat, the roar of the crowd, the sudden-death play, the crushing blow, the herculean feat, the insufferable star, the sweat, the triumph, the thrill. Sport holds a sacred place in western culture and literature. Writers as diverse as Ernest Hemingway, Willa Cather, Norman Mailer, Marianne Moore, Don DeLillo, Joyce Carol Oates, and David Foster Wallace have written about sport. But their works are no mere play-by-play accounts. The competition, spectacle, personal struggle, and exaggerated personalities so characteristic of sport offer writers the perfect backdrop upon which to look deeply into human nature and create literature that transcends sport itself. This exhibition showcases the literature of sport through fiction, essays, poetry, and plays. 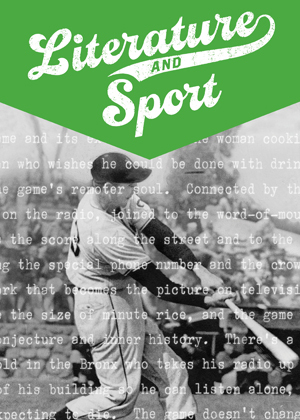 Organized by sport, the exhibition highlights some of the finest examples of literary writing about baseball, football, boxing, tennis, cricket, and other sports. From Bernard Malamud’s The Natural to Norman Mailer’s The Fight, great literary works capture the appeal of sport and its ability to transform both the individual and society, all the while demonstrating through lyricism and verbal dexterity how writers elevate language to literature. The Ransom Center is located at 21st and Guadalupe streets. The Ransom Center Gallerie are open Tuesdays through Fridays from 10 a.m. to 5 p.m., with extended Thursday hours until 7 p.m. On Saturdays and Sundays the galleries are open from noon to 5 p.m. The galleries are closed on Mondays. Free docent-led tours are offered Tuesdays at noon, Thursdays at 6 p.m., and Saturdays and Sundays at 2 p.m.
Megan Barnard, Assistant Director for Acquisitions and Administration, leads a tour of Literature and Sport on Wednesday, July 31, at 7 p.m. 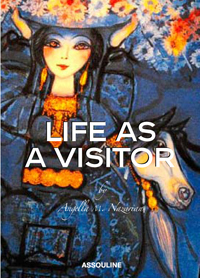 Writer Angella M. Nazarian reads from “Life as a Visitor,” her account of fleeing Iran with her family and life as an immigrant caught between two cultures at 7 p.m., Tuesday, April 20, at the Harry Ransom Center. A book signing follows. This program will be webcast live. Forced to flee to the United States at age 11 after the violent Iranian Revolution of 1979, Nazarian talks about her journey from past to present, from the exotic to the familiar and from a country’s political struggle to her own inner struggle in search of home, family and a sense of belonging. 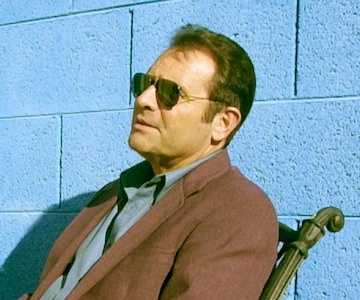 Nazarian is a professor of psychology and facilitates adult personal development workshops. She is an avid traveler, photographer and art enthusiast and has integrated these passions into her writing and her contributions to the Huffington Post and other publications. This program is co-sponsored by the Schusterman Center for Jewish Studies at The University of Texas at Austin. 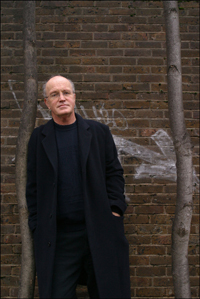 British writer Iain Sinclair, whose archive resides at the Ransom Center, reads from “London Orbital” and other works at 7 p.m., Thursday, April 8, at the Harry Ransom Center. The reading will be followed by a conversation between Sinclair and author Michael Moorcock, audience questions, and a book signing. This program will be webcast live. Walking around the “acoustic footprints” of the M25 orbital motorway, the ring road that encloses London, was Sinclair’s method of discovering where the sprawling city gave up the ghost: and where the uncertain future was carrying us. Trends are auditioned in these suburban edgelands: off-highway business parks, golf courses, decommissioned Victorian lunatic asylums. Walking became a form of writing, a method for connecting with lost histories. Sinclair discusses this and other expeditions, with appropriate readings from a number of books. 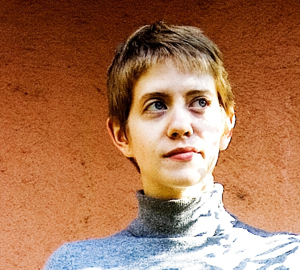 Sinclair is the author of “Downriver” (winner of the James Tait Black Memorial Prize and the Encore Award); “Landor’s Tower;” “White Chappell, Scarlet Tracings;” “Lights Out for the Territory;” “Lud Heat;” “Rodinsky’s Room” (with Rachel Lichtenstein); “Radon Daughters;” “London Orbital” and “Dining on Stones.” He is also the editor of “London: City of Disappearances.” He lives in Hackney, East London. Katharine Beutner, a doctoral candidate in the Department of English and a former graduate intern at the Harry Ransom Center, has just published her first novel, “Alcestis” (SoHo, 2010). In Greek myth, Alcestis is known as the ideal good wife; she loved her husband so much that she died to save his life and was sent to the underworld in his place. In this poetic and vividly-imagined debut, Beutner gives voice to the woman behind the ideal, bringing to life the world of Mycenaean Greece, a world peopled by capricious gods, where royal women are confined to the palace grounds and passed as possessions from father to husband. A book release event and signing will be held at BookPeople at 3 p.m., Sunday, Feb. 7. What inspired you to write a novel about this character? 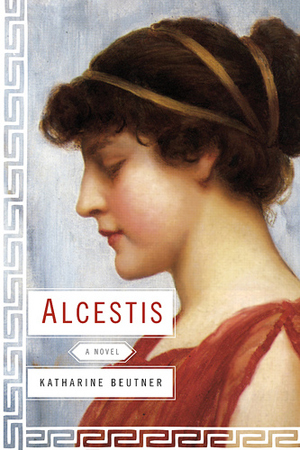 What was it about Alcestis that made you want to flesh out her story? My first inspiration for the book came from Rainer Maria Rilke’s poem about Alcestis, which I read in Stephen Mitchell’s lovely translation. I found the end of the poem really striking. The basic plot of Alcestis’s story is that she chooses to go to the underworld in her husband’s place, in order to save his life. Rilke writes that her husband Admetus hides his face when Alcestis disappears “in order to see nothing but that smile” as she goes. That stuck in my mind. Then, in 2004, I read Euripides’ “Alcestis,” which ends very differently. Admetus’ friend Heracles shows up, figures out what’s going on, and goes to the underworld to rescue Alcestis. He brings her back, and she’s alive, but silent. It’s supposed to be a happy ending, but I was so irritated — I love Euripides because he’s the most psychologically astute of the Greek tragedians, but he gives Alcestis no inner life at all. I wanted to write a version of her story that would allow readers to follow her into the underworld and see how she experiences it. Have you always had an interest in mythology? Yes, Greek mythology in particular. My parents gave me the D’Aulaires’ books of Greek mythology and Norse mythology when I was little and I read the Greek myths book to pieces while the Norse book got maybe two or three reads. I remember writing at least one story about Greek gods when I was in middle school, though I’m pretty sure the evidence has been destroyed. When I went to college, I worked as a research assistant for a classics professor, and ended up majoring in classical studies, which included studying ancient Greek. (I continued Greek while I was studying abroad in Ireland, where I got teased for my accent when reading Greek out loud). I now study eighteenth-century British literature — the neoclassical period, of course. Did you start this project with the intention of writing a novel? I did. I started writing this novel the summer before I came to UT to attend the MA program in creative writing and finished it as my thesis in that program. I’d written a different novel the year before, one that had totally snuck up on me — I thought it was a long short story, until I hit thirty thousand words and had to reassess. Alcestis was mapped out in advance. I’m kind of a structure geek, so I have to admit that I find outlining to be one of the most enjoyable parts of writing. When I was a kid, my favorite board game was, not surprisingly, The Amaze-ing Labyrinth (no connection to David Bowie in Spandex). Refining a novel in outline is a bit like that. You shift one piece and the whole layout changes. The Harry Ransom Center kicked off Poe Mania, in anticipation of the exhibition “From Out That Shadow: The Life and Legacy of Edgar Allan Poe,” which is now open. • Edgar Allan Poe’s poem “The Raven” has been one of his most popular poems since its publication in 1845 in the New York Evening Mirror newspaper. This popularity has led to a number of parodies, or humorous imitations, of the poem. Visit the Poe Project website and compose your own parody of “The Raven,” and you’ll be entered in a drawing to win Poe-centric prizes. • Visit the Ransom Center’s Flickr page to see behind-the-scenes photos of curators and Exhibition Services staff members preparing the galleries and to get a peek at some of the items in the Poe exhibition. 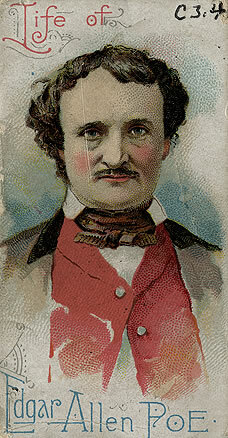 • Poe was so captivated by cryptography that he incorporated it into his story “The Gold-Bug” in 1843. Learn more about how to solve cryptographs, and then practice your decoding skills.